1. Season fish with salt. 2. In a frying pan, heat oil and fry fish until golden brown each side. 3. Transfer to serving plate and set aside. 3. When boiling, add dissolved cornstarch and continue stirring until thickens. Remove from heat. 4. Pour the sauce with veggies over fried fish. 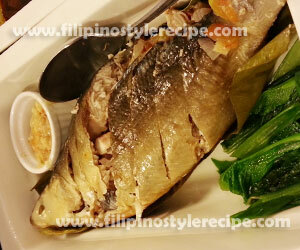 Filipino Style Recipe: Pinais na bangus is another simple and easy native dish. The fish is usually stuffed with tomatoes, onions, ginger and wrapped in banana leaves. Then cooked together with kamias or tamarind together with other vegetables. 1. Remove the scales of fish. Using a sharp knife, slice the back of the fish then remove innards. 2. Clean and rub the skin with salt. 3. In a bowl, combine tomatoes, onions, ginger, salt and pepper. Mix well. 4. Stuff the mixture inside the fish then wrap in banana leaves. 1. In a large pot, arrange wrapped fish and remaining tomatoes and onions. 2. Add kamias, mustard greens and season with salt then pour enough water to cover. 3. Cover with lid and simmer over low fire for 40 minutes or until the sauce is reduce. 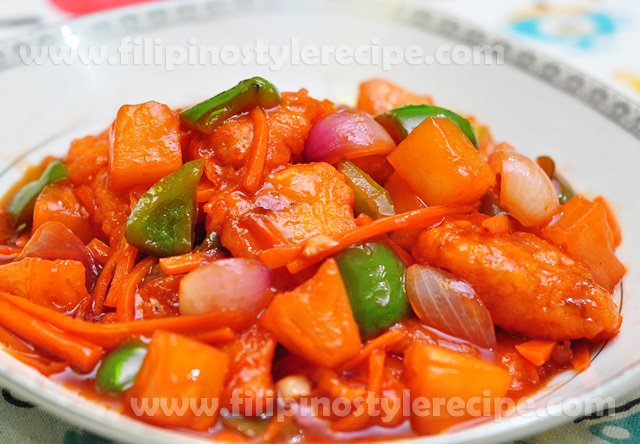 Filipino Style Recipe: sweet and sour fish fillet is another variety of popular sweet and sour dish that is commonly served in Chinese restaurants. The fish fillet comes fried in a crispy batter. Together with other vegetables, the fish fillet mixed in sweet and sour sauce made of pineapple, vinegar, ketchup, sugar and cornstarch. 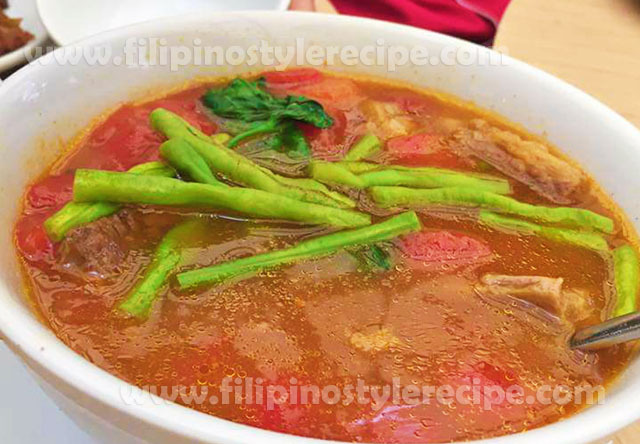 This is usually serve as main dish together with steamed rice. 1. In a bowl, combine the cornstarch, egg, salt and fish fillet then stir to coat evenly. 1. In a frying pan, heat cooking oil and deep fry fish pieces for 4 minutes or until golden brown. 1. In a sauce pan, heat oil then saute bell pepper and onion. Remove from pan and set aside. 2. Add the pineapple chunks, pineapple juice, vinegar, ketchup, salt and brown sugar then bring to boil. 3. Adjust seasoning according to taste then add cornstarch mixture and simmer for another minute or until begin to thickens. 4. Add the fish pieces, bell pepper and onion then mix well. Remove from heat. 5. Remove from heat then transfer to serving plate. Serve hot with steamed rice. Filipino Style Recipe: beef stroganoff is a Russian dish consists of beef strips and mushrooms served with sour cream. 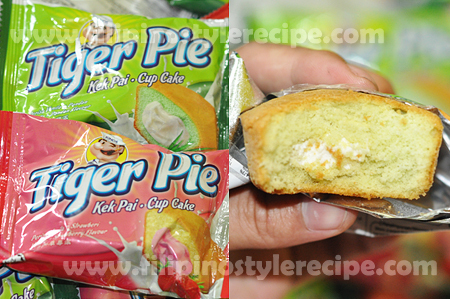 It became popular to Filipino cuisine and some other countries. Normally the beef sauteed and cooked with mushrooms in a blend of sour cream and seasonings. 1. In a bowl, combine beef, garlic powder, salt and pepper. Marinate for 30 minutes. 1. In a pan, melt butter and stir fry marinated beef for 3 minutes or until brown and tender. Drain and set aside. 2. In a same pan, add butter and saute onion and mushroom until golden brown. 3. Add stir-fried beef, sour cream, salt and pepper. Simmer in a low heat for 3 minutes. Stir constantly. 4. Add dissolved cornstarch and stir for another minute or until thicken. 5. Remove from heat then serve hot with bread, pasta or rice. 1. You may also add condensed cream of mushroom soup if you prefer. 2. You may also used yogurt instead of sour cream. 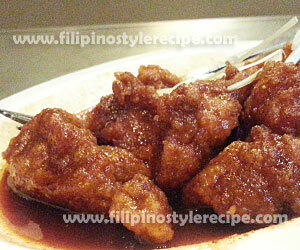 Filipino Style Recipe: sweet and sour sauce is a quick and easy recipe. 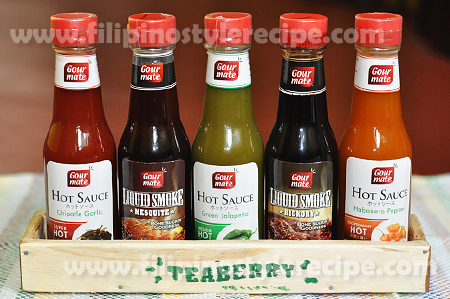 It can be poured over a dish or used as a dipping sauce. 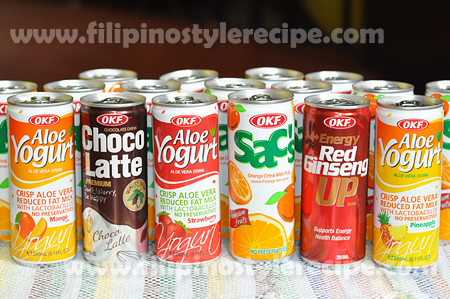 Normally it’s a combination of sugar, vinegar, soy sauce and catsup. Simmer over low heat then pour cornstarch or flour mixture. 1. 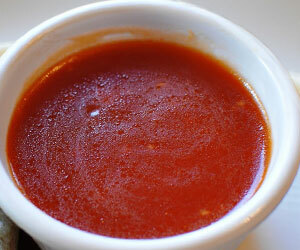 In a saucepan, combine sugar, vinegar, soy sauce, catsup and water. Bring to boil over low heat. 2. Pour cornstarch mixture and stir until thickened. 3. Transfer the sauce to bowl. Done. 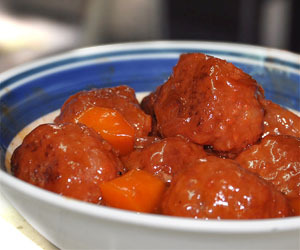 Filipino Style Recipe: sweet and sour meatballs(bola-bola) recipe is another Filipino dish. 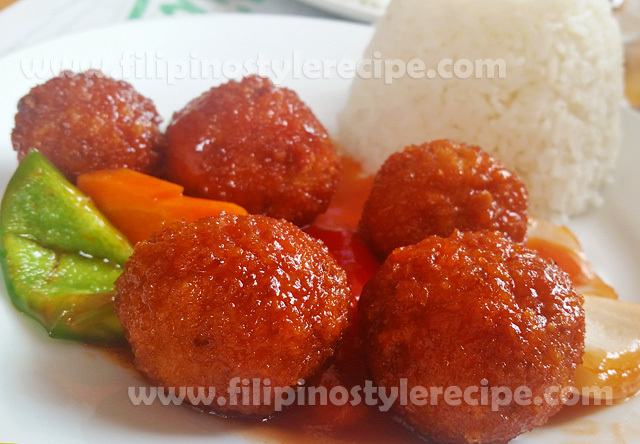 Normally the meatballs comes fried and the sauce is a blend of tomato sauce, vinegar, sugar, carrots, bell pepper, pineapple and cornstarch which thickens the sauce. 3. In a frying pan, heat oil and deep fry until golden brown. Drain and set aside. 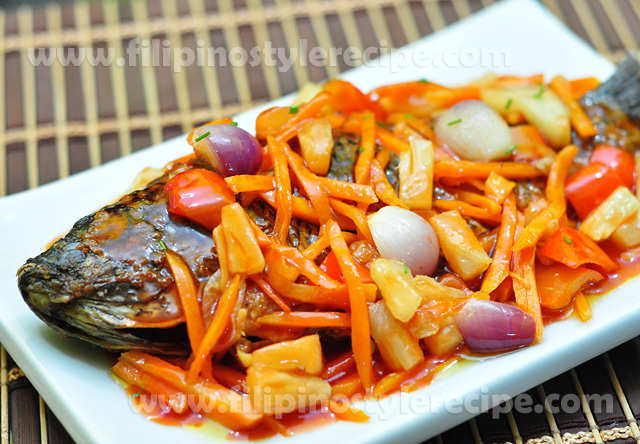 Filipino Style Recipe: sweet and sour fish recipe is popular among Chinese restaurants. Normally the fish comes fried and the sauce is a blend of pineapple, vinegar, ketchup, sugar and cornstarch which thickens the sauce. 1. In a sauce pan, combine water, sugar, vinegar, pineapple juice, ketchup, soy sauce and sesame oil. Mix well. 3. When boiling, add dissolved cornstarch and continue stirring until thickens. 1. In a wok, heat oil and saute ginger, garlic, onion, bell peppers, pineapple chunks and carrots until done. 2. Add the sauce then let it boil. Remove from heat. 3. Pour the sauce with veggies over fried fish.